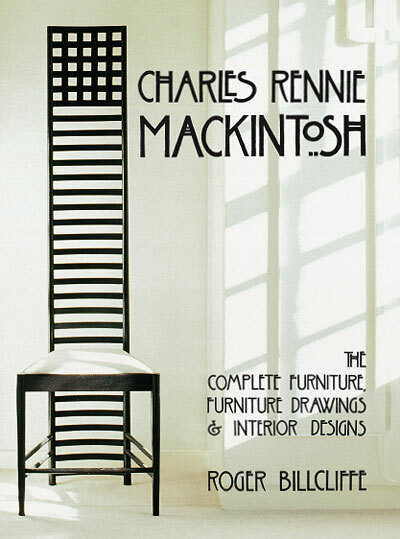 This new and completely revised fourth edition of Roger Billcliffe’s ground-breaking catalogue raisonné of the furniture of Charles Rennie Mackintosh appears thirty years after the book’s first publication and more than twenty years since it was last in print. The text has been updated throughout to take account of the numerous discoveries and developments in Mackintosh scholarship. Newly discovered pieces are described and illustrated, and many items that were previously shown in black and white appear in colour, so that there are now over 900 illustrations including over 250 in colour. For Mackintosh, who saw architecture as the art that encompassed all the other visual arts, the design of furniture and interiors formed a vital part of his oeuvre. The exhibition rooms, interiors and even single pieces of furniture, which were so eagerly sought after by his European clients and colleagues, were designed with the same care as his major architectural commissions. In a working life of only twenty-five years, Mackintosh designed over 300 pieces of furniture, a number that seems all the more impressive given that the majority were produced in the periods 1897-1905 and 1916-1918. After an introduction in which Billcliffe perceptively analyses Mackintosh’s career and scholarly interpretations of it, the book is arranged as a complete chronological catalogue of his work as a furniture designer. Mackintosh’s standing as one of the key figures in design at the beginning of the 20th century and the role of Margaret Macdonald – recently elevated by some writers to the position of collaborator and co-designer of several projects – is thoroughly examined and brought up to date. As well as the entries on individual designs and pieces, the catalogue includes essays on all Mackintosh’s major commissions for interiors and on his designs in general at specific periods of his career. Contemporary photographs are used extensively to show interiors (many of them now destroyed) as they were at the time of their completion. Pieces of furniture which cannot be traced are listed by reference to the job books that record the details of designs by Mackintosh or the firms of which he was a member. This is the only comprehensive work on the furniture of the most important British designer and architect since Robert Adam. An impressive and stimulating work of scholarship, this book is essential reading for anyone with an interest in twentieth-century design, whether in historical, aesthetic or purely practical terms. It is acknowledged as the definitive work on a designer of world renown and influence.